BY ACCESSING, using any part of OUR WEBSITE OR USING OUR SERVICES, YOU AGREE TO BE BOUND BY THIS DOCUMENT. IF YOU DO NOT AGREE TO ALL OF THESE TERMS and conditions, DO NOT USE OUR WEBSITE OR OTHER PRODUCTS OR SERVICES RELATED TO IT. 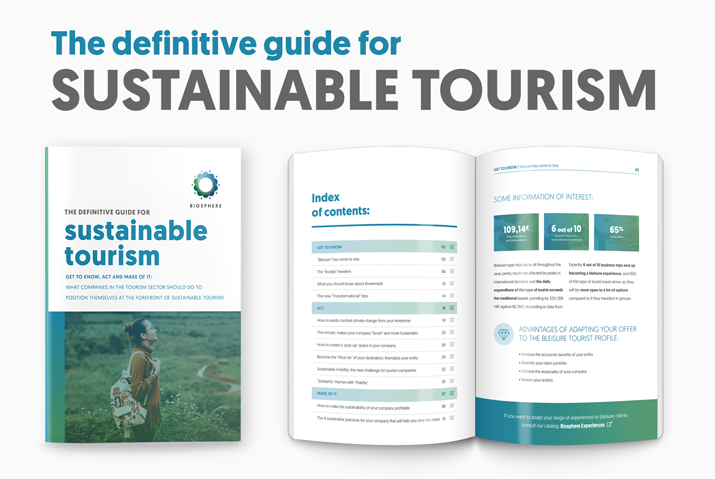 This website is owned and operated by Responsible Tourism Institute. Throughout the site, the terms “we”, “us”, “RTI” and “our” refer to Responsible Tourism Institute. RTI offers this website, including all information, tools and services available from this site to you, the user, conditioned upon your acceptance of all terms, conditions, policies and notices stated here. By visiting our site and/ or purchasing something from us, you engage in our “Service” and agree to be bound by the following terms and conditions (“Terms and Conditions”, “Terms”), including those additional terms and conditions and policies referenced herein and/or available by hyperlink. These Terms and Conditions apply to all users of the site, including without limitation users who are browsers, customers and/ or contributors of content. Please read these Terms and Conditions carefully before accessing or using our website. By accessing or using any part of the site, you agree to be bound by these Terms and Conditions. If you do not agree to all the terms and conditions of this agreement, then you may not access the website or use any services. If you access part or all of our services through an offer, the acceptance of this offer is equally and expressly conditioned to these Terms and Conditions. Any new functionalities or tools which are added to the online platform Biosphere shall also be subject to the Terms and Conditions. You can review the most current version of the Terms and Conditions at any time on this page. We reserve the right to update, change or replace any part of these Terms and Conditions by posting updates and/or changes to our website. It is your responsibility to check this page periodically for changes. Your continued use of or access to the website following the posting of any changes constitutes acceptance of those changes. By agreeing to these Terms and Conditions, you declare that your age at the time of using our products allows you to use our services with full capacity, in accordance with your national legislation, either because you are of legal age, because you are below the legal age but your national personal legislation allows it or because you are an emancipated minor according to the legislation, provided you have not been declared incapable or that your legislation does not go against the public order established by the Spanish legislation in force in this regard. It must not transmit worms or viruses or any code of a destructive nature. While we may communicate changes in the prices of our products to our customers, the prices of our visible products in our website may be subject to change without notice. Certain products or services may be available exclusively online through the website. We have made every effort to display as accurately as possible the products that appear on this site. We cannot guarantee that all our products and services are accessible from any place, being able given the online nature of some of them, not being able to function correctly in certain geographical locations. We reserve the right, but are not obligated, to limit the sales of our products or Services to any person, geographic region or jurisdiction. We may exercise this right on a case-by-case basis. We reserve the right to limit the quantities of any products or services that we offer. All descriptions of products or product pricing are subject to change at any time without notice, at the sole discretion of us. We reserve the right to discontinue any product or service at any time. Any offer can also be affected in case that any product or service is discontinued at any place or time, without being responsible to you or any third part for any modification, price change, suspension or interruption of the Service. We reserve the right to refuse any order you place with us. We may, in our sole discretion, limit or cancel quantities purchased per person, per household or per order. These restrictions may include orders placed by or under the same customer account, the same credit card, and/or orders that use the same billing and/or shipping address. In the event that we make a change to or cancel an order, we may attempt to notify you by contacting the e-mail and/or billing address/phone number provided at the time the order was made. We reserve the right to limit or prohibit orders that, in our sole judgment, appear to be placed fraudulently. We may provide you with access to third-party our online tools. If you are among the organizations listed in paragraph 2 above and are interested in linking to our website, you must notify us by sending an e-mail to info@biospheretourism.com . Please include your name, your organization name, contact information (such as a phone number and/or e-mail address) as well as the URL of your site, a list of any URLs from which you intend to link to our website, and a list of the URL(s) on our site to which you would like to link. Allow 2-3 weeks for a response. 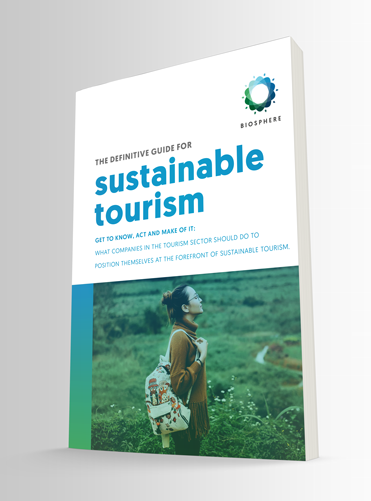 The use of the logo or any of the brands of the Responsible Tourism Institute or other associated illustrations to link a trademark license agreement will not be permitted, except with express consent. Without prior approval and express written permission, you may not create frames around our web pages or use other techniques that alter in any way the visual presentation or appearance of our website. If you want to know more about our brand image, please consult our Brand Image Manual. Nos reservamos el derecho en cualquier momento y a nuestro exclusivo criterio de solicitarle que elimine todos los enlaces o cualquier enlace particular a nuestro sitio web. Usted acepta eliminar de inmediato todos los enlaces a nuestro sitio web cuando así lo solicite. También nos reservamos el derecho de modificar estos Términos y Condiciones y su política de vinculación en cualquier momento. Al continuar enlazando a nuestro sitio web, usted acepta estar sujeto y respetar estos términos y condiciones de enlace. Si encuentra cualquier enlace en nuestro sitio web o cualquier sitio web vinculado objetable por cualquier motivo, puede contactarnos. Nosotros consideraremos solicitudes para eliminar enlaces, pero no tendremos la obligación de hacerlo o responderle directamente. Si bien nos esforzamos por garantizar que la información en este sitio web sea correcta, no garantizamos su integridad o exactitud; ni nos comprometemos a garantizar que el sitio web permanezca disponible o que el material en el sitio web se mantenga actualizado. We shall have no responsibility or liability for any content appearing on your website in the event that we have been linked from it. You agree to indemnify and defend us against all claims arising out of or based upon your website. No link(s) may appear on any page on your website or within any context containing content or materials that may be interpreted as libelous, obscene or criminal, or which infringes, otherwise violates, or advocates the infringement or other violation of, any third-party rights. Occasionally there may be information on our site or in the Service that contains typographical errors, inaccuracies or omissions that may relate to product or services descriptions, pricing, promotions, offers, characteristics of the product or service and availability. We reserve the right to correct any errors, inaccuracies or omissions, and to change or update information or cancel products or services if any information in the Service or on any related website is inaccurate at any time without prior notice. No asumimos ninguna obligación de actualizar, modificar o aclarar la información en el Servicio o en cualquier sitio web relacionado, except as required by law. No specified update or refresh date applied in the Service or on any related website, should be taken to indicate that all information in the Service or on any related website has been modified or updated. In addition to other prohibitions as set forth in the Terms and Conditions, you are prohibited from using the site or its content: (a) for any unlawful purpose; (b) to solicit others to perform or participate in any unlawful acts; (c) to violate any law; (d) to infringe upon or violate our intellectual property rights or the intellectual property rights of others; (e) to harass, abuse, insult, harm, defame, slander, disparage, intimidate, or discriminate based on gender, sexual orientation, religion, ethnicity, race, age, national origin, or disability; (f) to submit false or misleading information; (g) to upload or transmit viruses or any other type of malicious code that will or may be used in any way that will affect the functionality or operation of the Service or of any related website, other websites, or the Internet; (h) to collect or track the personal information of others; (i) to spam, phish, pharm, pretext, spider, crawl, or scrape; (j) for any obscene or immoral purpose; or (k) to interfere with or circumvent the security features of the Service or any related website, other websites, or the Internet. We reserve the right to terminate your use of our products or services or any related website for violating any of the prohibited uses. You agree that from time to time we may remove the access to our products and services for indefinite periods of time or cancel the service at any time, without notice to you. You expressly agree that your use of, or inability to use, our products and services is at your sole risk. All products and services delivered to you are (except as expressly stated by us) provided ‘as is’ and ‘as available’ for your use, without any representation, warranties or conditions of any kind, either express or implied, including all implied warranties or conditions of merchantability, merchantable quality, fitness for a particular purpose, durability, title, and non-infringement. In no case shall Responsible Tourism Institute , our directors, officers, employees, affiliates, agents, contractors, interns, suppliers, service providers or licensors be liable for any injury, loss, claim, or any direct, indirect, incidental, punitive, special, or consequential damages of any kind, including, without limitation lost profits, lost revenue, lost savings, loss of data, replacement costs, or any similar damages, whether based in contract, tort (including negligence), strict liability or otherwise, arising from your use of any of the products or service using the service, or for any other claim related in any way to your use of the service or any product, including, but not limited to, any errors or omissions in any content, or any loss or damage of any kind incurred as a result of the use of the service or any content (or product) posted, transmitted, or otherwise made available via the service, even if advised of their possibility. Because some states or jurisdictions do not allow the exclusion or the limitation of liability for consequential or incidental damages, in such states or jurisdictions, our liability shall be limited to the maximum extent permitted by law. You agree to indemnify, defend and hold harmless Responsible Tourism Institute and our platform, delegations, subsidiaries, affiliates, partners, officers, directors, agents, contractors, licensors, service providers, subcontractors, suppliers, interns and employees, harmless from any claim or demand, including reasonable attorneys’ fees, made by any third-party due to or arising out of your breach of these Terms and Conditions or the documents they incorporate by reference, or your violation of any law or the rights of a third-party. Upon the termination of the obligations and responsibilities of certain parties incurred in certain products or services, the effective date and the application of the provisions of these Terms and Conditions for the completion of all fines. If in our sole judgment you fail, or we suspect that you have failed, to comply with any term or provision of these Terms and Conditions, we also may terminate this agreement at any time without notice and you will remain liable for all amounts due up to and including the date of termination; and/or accordingly may deny you access to our products and services (or any part thereof). Las ambigüedades en la interpretación de estos Términos y Condiciones no se interpretarán en contra del redactor. These Terms and Conditions and any separate agreements whereby we provide you Services shall be governed by and construed in accordance with the laws of the European Union (EU).